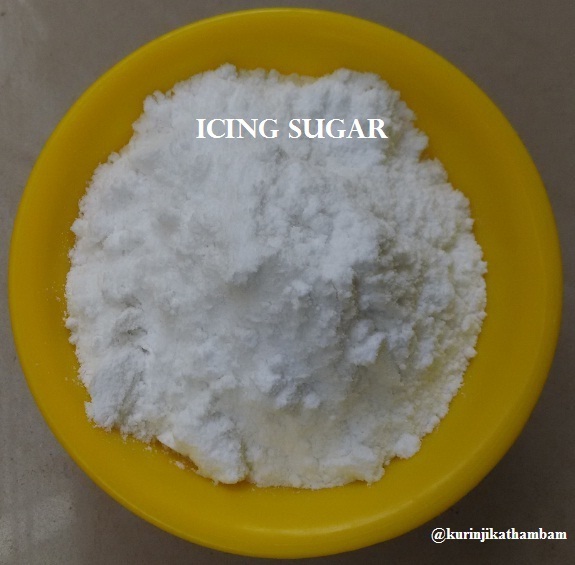 There are different type of sugar like granulated sugar, caster sugar and icing sugar. Normal sugar is also called as granulated sugar or table sugar or sugar. Confectioners’ sugar also called as icing sugar or powdered sugar. 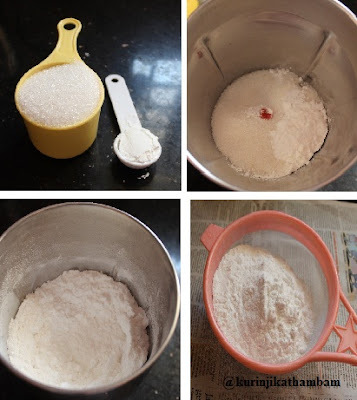 Caste sugar is not too fine as icing sugar. In the baking world, confectioners’ sugar / icing sugar is important when frosting, icing etc., It is very costly off the shelf even though it is easy to make at home. This recipe is about how to prepare confectioner’s sugar at home. 1. Mix the sugar and corn starch together. 2. Grind them into a fine powder using the blender or food processor. You should not open the lid of the blender immediately. Wait for a min or until the powder settles down. 3. Then sieve the mixture in a fine sieve. Use it immediately or store it in a airtight container for later use. Oh, i never really add cornstarch but just make it directly!